About 20 years ago, my hot water heater started leaking the day before we left for a vacation. In a panic, my wife said, what are you going to do. I said, turn it off and go to Disney World. True story!! So needless to say I had a project waiting for me when I returned. 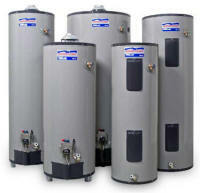 Water heaters come in many types, shapes and sizes. Natural gas (or LP) or electric tank type are the most common. 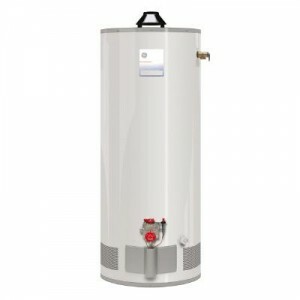 Like everything else in the house, a little bit of maintenance and periodical inspections can work to get the most life out of a hot water heater. The Inspection: If the water heater is new, you can go 3 years before inspecting it. Then every two years, At 7, start inspecting it every year. How old is the water heater? If the water heater was there before you were. You need to figure out how old it is. Newer tanks maybe clearly stamped with a date. Sometimes a plumber will also write on the tank the date of installation. If you find none of that, look for the serial number. The first four digits should include a date code. Every manufacturer does it a little different. C-93, 0393, 9303, 9313 (13 is a week number) In this example, all equate to March of 1993. Typically water heaters can last for 10-15 years, but start inspecting them more regularly at about 7 years. Physical Inspection: With a good flashlight, try to look around all the surface area of the outside structure. Look for any water, water deposits, rust or deformation in the shell of the heater Inspect all the water connections. The tank should be marked with cold input and hot output. WARNING: The hot water output will be HOT. Be careful if you touch them. Look for heavy rust and water streaks on the shell of the heater. Using a paper towel as your inspection tool it will identify water on the back side where you may not be able to see it. Cold Water Cut-off: Close the valve to make sure you can. In an emergency, you need to know it will close successfully. Pressure Release Valve: Every water heater has a pressure relief valve. By design, if the water heater gets too hot and the water starts boiling, the relief valve will let the water out. 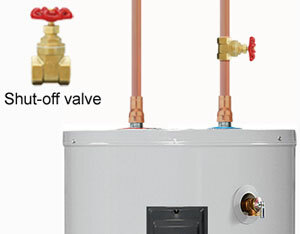 If the water heater was installed correctly, the valve should be connected to a pipe, and the pipe should exit the house. Open the valve for about 2 seconds, then let it go quickly so it will re-seat. Be aware, it may not re-seat. If it doesn’t re-seat, activate it a couple of times. If it does not re-seat, it will need to be replaced. TIP: When testing this item, be aware, it may not re-seat, so do it when it will be convenient for you to replace it or have it replaced. You want to avoid that weekend call out to a plumber. If you get stuck, you can turn the cold water off (see #3) and it should stop leaking until you replace it, granted you will be limited on hot water. Here is the e-How link to replacing a pressure relief valve. Flue Inspection (Gas fired Water Heaters): You should see a rigid metal duct or flue leaving the top of the water heater. Inspect each joint to ensure it is properly sealed with aluminum type tape. This is very important as a leaky vent can cause carbon monoxide poisoning. This vent needs to be inspected from the top of the water heater to the point of exit out of the house. It should also be secure and supported on its path out of the house. Drain the tank of sediment: At the base of the water heater is a spigot. If you can get a bucket underneath it, drain about a gallon of water. If it is clear, perform it yearly. If it is milky or include noticable particles. Connect a garden hose, with the open end leading outside and drain the entire tank. You must turn the water off (above item 3) and open a hot water faucet in the house so it will drain to be able to get all the water out. Perform this every 2 to 3 years. Replace the anode (optional): If your water heater does not normally last 10 years, you may consider this maintenance item. On top of the water heater is a large bolt. Underneath the bolt is a sacrificial anode that is designed to corrode. Once it has dissolved, the tank will take on that role and start corroding. Because we all have different water quality, the anode will corrode at different rates in different parts of the country. If you have a concern, inspect it at 5 years. It’s best to shut off the water, as well as the heat source (electricity or natural gas). If the anode has consumed at least 6 inches, the anode should be replaced. After completing this exercise, drain and refill the tank. Following this method will allow you to get the maximum life out of your water heater. 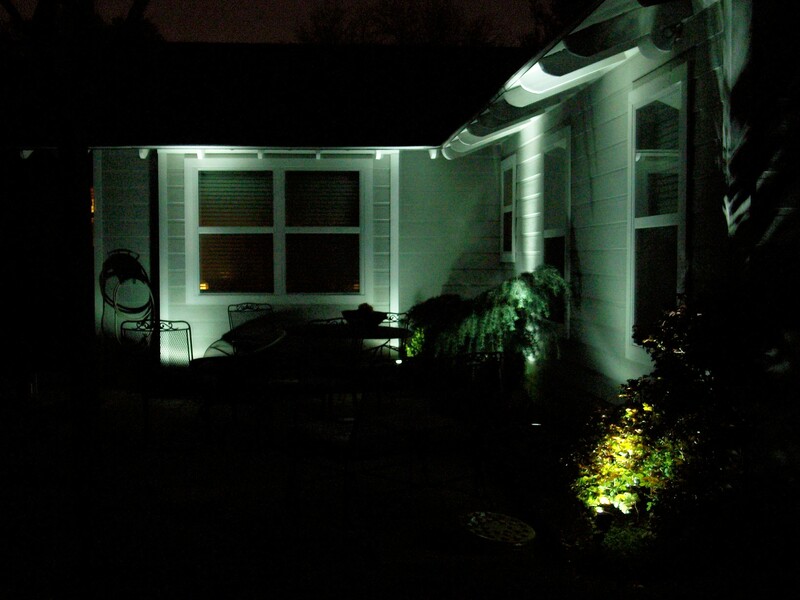 Hopefully you read my article on Solar Landscape Lighting. In the article I described my journey to create a sustainable landscape lighting system using standard off the shelf landscape lighting fixtures and components, but with a twist. No AC and no transformer; just pure power from the sun. In the article I mentioned that I would probably upgrade the solar panel in the near future. Well sure enough, the future is here! Prices of components have continued to drop and I couldn’t pass up a deal on a 50W panel. In doing so, this allows me the ability to triple the number of the light fixtures. I had already sized the solar controller and battery to accommodate the expansion. Night pictures are tough to take (for amatures) with a low cost digital camera but I want to show the results. The above picture is of 5 standard landscape light fixtures with 21 pin LED bulbs using less than 10 watts total. This is a vast improvement over any “off the shelf” solar landscape lighting system. HQRP 50 Watt Solar Panel: At Amazon.com they are priced at about $160. The panel works great, but I had to rework the cable connectors as they use a unique connector that I was unable to match. I used a marine grade connector instead. If you remember; I started with a 15W panel that cost $100. This works out to about $3.2 per watt compared to $6.6 per watt with the old panel. 6 – 144940 20W Manor House Light Fixtures: individually priced at around $15, this box set of 6 drops the per fixture cost to less than $9. They are readily available at Lowes. 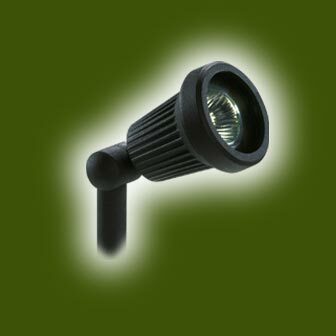 Since wattage rating is not an issue; these fixtures are at the low end of the price point and easy to use. The heads are easily adjustable and the bulbs can be changed out without any tools. 6 – MR16 21 Pin LED Light bulb from LED-Mate: I am not 100% satisfied with this supplier but I have had fewer problems with their bulbs than others and they provide you a two year warranty. Their prices have continued to fall and are around $8. If you buy more, they will give you a price break. As mentioned, the 21 pin LED light bulbs do not have near the output light found in traditional landscape lighting fixtures so to create enough useable light, additional light fixtures are required. Adding 6 more fixtures to the system made a dramatic impact and at this point adding more fixtures will cost me about 20 bucks each since I have already incurred the cost of the system backbone. 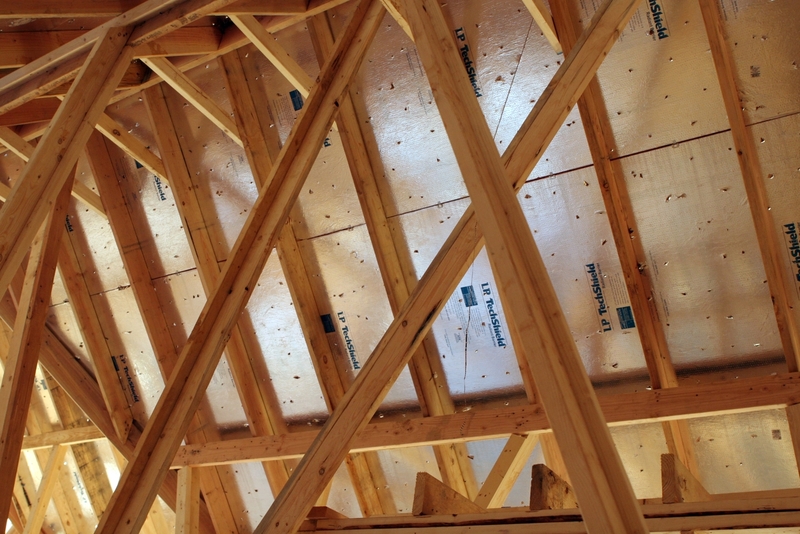 Shoot me a note if you are considering a similar project at homeownerbob@gmail.com. You are currently browsing the Homeownerbob's Blog blog archives for April, 2010.